"No rain in the world can stop me from wearing suede shoes. They mould to the feet, becoming incredibly comfortable wear after wear. These are wholecut – not a stitch on sight for the sleekest of looks. They’ll look splendid with chinos on a dress-down Friday." 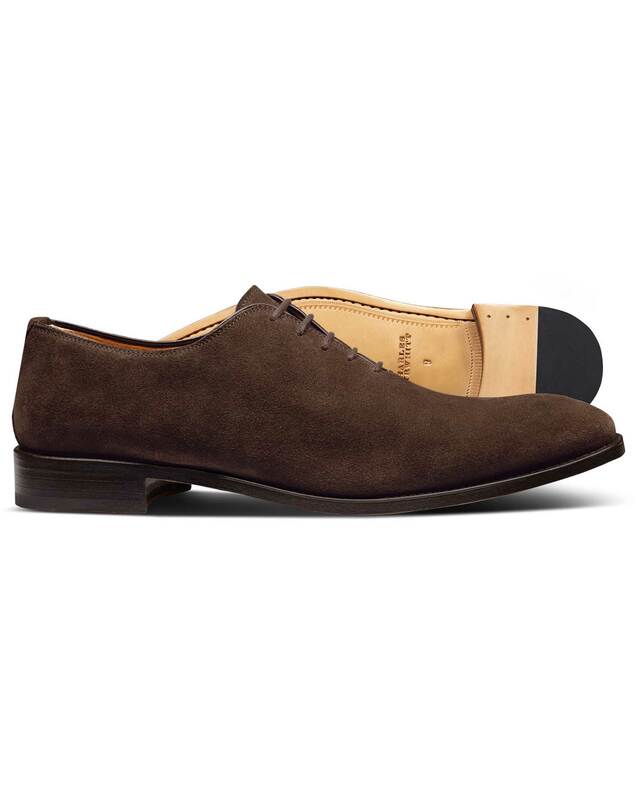 "Modern square-toe suede wholecut shoes with leather soles." 4 months ago I bought the same shoes in tan, which I like, they're basically my go to for a casual dress day with fitted chinos or jeans.